Este artículo tiene por objetivo la revisión crítica de los abordajes teórico-metodológicos en la arqueología de navíos de guerra y campos de batalla acuáticos. A través de ejemplos de investigaciones llevadas a cabo desde sus tres principales corrientes (particularismo histórico-cultural, procesualismo y postprocesualismo), se analizan las posibilidades, límites y desafíos que cada una presenta. Se propone que el camino más productivo consiste en efectuar una síntesis que tome elementos de cada una de las posturas que se exploran. ALCALÁ-ZAMORA, J. N. 2004. La empresa de Inglaterra: (la "Armada invencible": fabulación y realidad). Real Academia de la Historia, Madrid. ARNOLD, W. S. 2016. Whatever Works: Amphibious Tractors and Field Expedient Armor Modifications. In: McKINNON, J & CARRELL, T (eds.) Underwater Archaeology of a Pacific Battlefield: The WWII Battle of Saipan. Springer, New York. Pp. 49-62. BELL, S. 2016. In the Drink: Sunken Aircraft of the Battle of Saipan. In: McKINNON, J & CARRELL, T (eds.) Underwater Archaeology of a Pacific Battlefield: The WWII Battle of Saipan. Springer, New York. Pp. 39-48. BINFORD, L. R. 1965. Archaeological Systematics and the Study of Culture Process. American Antiquity. Vol. 31, No. 2: 203-210. BOUND, M. (ed.). 1995. The Archaeology of Ships of War. Anthony Nelson, Oswestry. BOUND, M. (ed.). 1998a. Excavating Ships of War. Anthony Nelson, Oakville, CT. BOUND, M. 1998 b. Lost ships: the discovery and exploration of the ocean's sunken treasures. Simon & Shuster Editions, New York. BOUND, M. & BADO, H. 1998. Nelson's Agamemnon. In: BOUND, M. (ed.). 1998. Excavating Ships of War. Anthony Nelson, Oakville, CT.
CARABIAS, D. 2008. 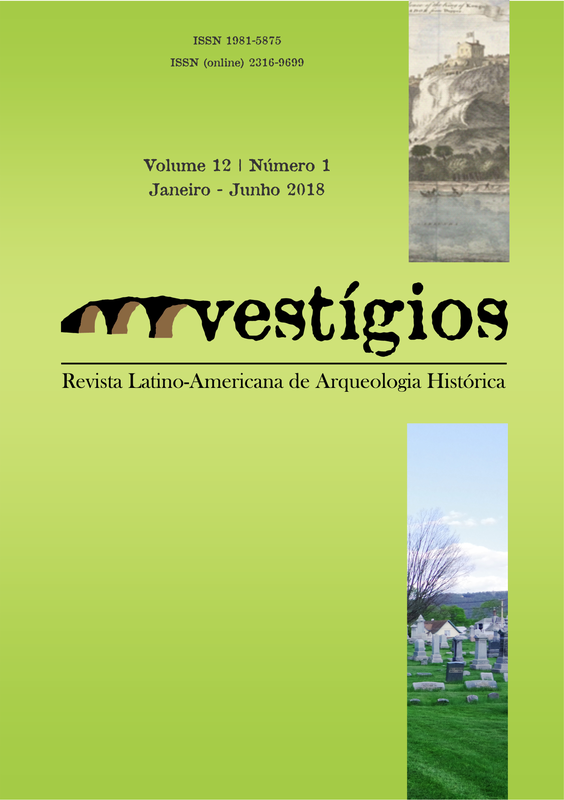 Enfoques metodológicos integradores en arqueologia maritima: Contribuciones a la compresión del Paisaje Cultural Maritimo de la Patagonia Occidental en el Siglo XVIII a partir del estudio de la fragata Wager. Ponencia presentada en el V Congreso de Arqueología de Colombia. Patrimonio Paisaje y Sociedad. Universidad de Antioquia, Medellin, Colombia. 19-22 de noviembre de 2008. CARABIAS, D. 2009. Naufragio del HMS Wager en la Patagonia. Encuentro de dos mundos. Productora Gráfica MC4, Chile. CARABIAS, D., SIMONETTI, R. MORALES, C., LETELIER, D., ASPILLAGA, E., RETAMAL, R. 2013. Informe de Peritaje Arqueológico Subacuático, Monumento Histórico Corbeta Esmeralda, Comuna de Iquique, I Región de Tarapacá. ARKA: Valparaíso, Chile. CARABIAS, D., SIMONETTI, R., MORALES, C. 2018. Exploring Infatigable (1855): First insights from Archaeology into the mid-Nineteenth Century Chilean Navy. Ponencia presentada en Society for Historical Archaeology Conference, New Orleans, Estados Unidos. CASADO SOTO, J. L. 1988. Los barcos españoles del siglo XVI y la Gran Armada de 1588. Editorial San Martín, Madrid. CASSON, L. & STEFFY, J. R. (eds.). 1991. The Athlit Ram. Texas A&M University Press, College Station. CEDERLUND, C.O. 1985. Shipbuilding in the 17th and 18th Centuries: The Wasa as a product of Dutch Shipbuilding. In: BANG-ANDERSEN, A., GREENHILL, B. & GRUDE, E.H. The North Sea. A Highway of Economic and Cultural Exchange. Norwegian University Press and Oxford University Press, Stavanger. Pp. 167-78. CEDERLUND, C. O. 2006. Vasa I. The Archaeology of a Swedish Warship of 1628. National Maritime Museums of Sweden, Stockholm. COHN, A.B., KANE, A.I., SABICK, C. R., SCOLLON, E. R. & CLEMENT, J. B. 2007. Valcour Bay Research Project: 1999-2004 Results from the Archaeological Investigation of a Revolutionary War Battlefield in Lake Champlain, Clinton County, New York. Lake Champlain Maritime Museum, New York. CONLIN, D. & RUSSELL, M. 2011. Maritime Archaeology of Naval Battlefields. In: GEIER, C.R., BABITS, L.E., SCOTT, D. & ORR, D.G. (eds.) Historical Archaeology of Military Sites. Texas A&M University Press, College Station. Pp.39-56. DEL CAIRO H., C. 2013. Mentiras verdaderas o la topología de la guerra. Aproximación arqueológica a la cartografía colonial de Bocachica, Cartagena de Indias. Apuntes: Revista de Estudios sobre Patrimonio Cultural. Vol.26, No. 1: 186-203. ELKIN, D, MURRAY, C., BASTIDA, R., GROSSO, M., ARGÜESO, A., VAINSTUB, D., UNDERWOOD, C., CIARLO, N. 2011. El naufragio de la HMS Swift (1770): Arqueología marítima en la Patagonia. Vazquez Mazzini Editores, Buenos Aires. FLANNERY, K. V. 1968. Archaeological Systems Theory and Early Mesoamerica. In: MEGGERS, B. J. (ed.). Anthropological Archaeology in the Americas. Washington, Anthropological Society of Washington. Pp. 67-87. GEIER, C.R. & POTTER S. R. (eds.). 2000. Archaeological perspectives of the American Civil War. Florida University, Gainesville. GOULD, R.A. 2011. Archaeology and the Social History of Ships. 2 ed. Cambridge University Press, New York. GROSSO, M. 2014. Post-depositional processes studies of wooden artifacts from the 18th century Swift shipwreck site (Patagonia, Argentina). Intersecciones en Antropología. Vol. 15: 55-70. GUEDES, M. 1981. A study of some nautical instruments (including two astrolabes) recovered from the Sacramento shipwreck (1668) at Bahia. In: HOWSE. (ed.). Five hundred years of Nautical Science 1400-1900. National Maritime Museum, Greenwich. GUILMARTIN, J. 1982.The Cannon of the Batavia and the Sacramento: early modern cannon founding reconsidered. The International Journal of Nautical Archaeology and Underwater Exploration. Vol. 11, No.2: 133- 144. GUILMARTIN, J., 1983. The Guns of the Santíssimo Sacramento. Technology and Culture. No. 24: 559-601. GUZMAN, J. 2017. Cañón de Cañones. Arqueología de un accidente naval británico de finales del siglo XVIII en la Sonda de Campeche. Tesis de Licenciado en Arqueología. Universidad de Autónoma de Zacatecas, Zacatecas. HANKS, M. 2016. Landing at Saipan: The Three M4 Sherman Tanks That Never Reached the Beach. In: McKINNON, J & CARRELL, T (eds.) Underwater Archaeology of a Pacific Battlefield: The WWII Battle of Saipan. Springer, New York. Pp. 63-71. HILDRED, A. 2011. Weapons of Warre: The Armaments of the Mary Rose, The Archaeology of the Mary Rose. Mary Rose Trust, United Kingdom. HOCKER, F. 2011. Vasa: A Swedish Warship. Medstroms Bokforlag, Sweden. HODDER, I. 1987.The Contextual Analysis of Symbolic Meanings. In: HODDER I. (ed.) The Archaeology of Contextual Meanings. Cambridge University Press, Cambridge. Pp. 1-10. HODDER, I. 2008. Multivocality and Social Archaeology. In: HABU J., FAWCETT C. & MATSUNAGA J.M. (eds.) Evaluating Multiple Narratives. Springer, New York. LANDA, C.G. 2013. Arqueología de campos de batalla en Latinoamérica: apenas un comienzo. Arqueología. Vol. 19, No. 2: 265-286. MANDERS, M.R. & BROUWERS, W.F.G. (eds.) 2016. The Utrecht. A shipwreck of the Dutch admiralty in the Baía de Todos os Santos, Brazil: its history from battle to archaeological assessment. Cultural Heritage Agency of the Netherlands, Amersfoort. MARSDEN, P. 2003. Sealed by Time: The Loss and Recovery of the Mary Rose, The Archaeology of the Mary Rose. Mary Rose Trust, United Kingdom. MARTIN, C. 1975. Full fathom five: wrecks of the Spanish Armada. Viking Press, New York. McKINNON, J. & CARREL, T. L. (eds.). 2016. Underwater Archaeology of a Pacific Battlefield: The WWII Battle of Saipan. Springer, New York. McKINNON, J. 2016. Underwater Archaeology of a WWII Battlefield. In: McKINNON, J & CARRELL, T (eds.) Underwater Archaeology of a Pacific Battlefield: The WWII Battle of Saipan. Springer, New York. MUCKELROY, K. 1978. Maritime Archaeology. Cambridge University Press, New York. NASTI, A. 2001. Recovery and conservation of navigational instruments from the Spanish troopship Salvador which sank in 1812 in Maldonado Bay, Punta del Este, Uruguay. IJNA. Vol. 30, No. 2:279-281. NASTI, A. 2008. Aportes de la arqueología subacuática: el naufragio de la fragata española San Salvador (1812). Temas de historia argentina y americana. No.13: 153-163. NETO, U. 1977. “O Galeão Sacramento (1668): Um naufrágio no século XVII e os resultados de uma pesquisa de arqueologia submarina na Bahia/Brasil.” Revista Navigator. No. 13. NETO, U. 1979. The Shipwreck of the galleon Sacramento1668 off Brazil. International Journal of Nautical Archaeology and Underwater Exploration. Vol. 8. No. 3: 211- 223. RIVOLTA, M.C., MONTENEGRO, M., MENEZES FERREIRA, L. & NASTRI, J. (eds.) 2014. Multivocalidad y activaciones patrimoniales en arqueología: perspectivas desde Sudamérica. Fundación de Historia Natural Félix de Azara, Buenos Aires. ROSE, K. 2014 The Naval Architecture of Vasa, a 17th-Century Swedish Warship. Dissertação (Doutorado em Antropologia). Texas A & M University, College Station. SABICK, C. & DENNIS, J. 2011. Submerged Battlefield Protection Manual. Lake Champlain Maritime Museum, New York. SCHIFFER, M.B. 1976. Behavioral Archeology. Academic Press, New York. SCHIFFER, M.B. 1987. Formation Processes of the Archaeological Record. University of New Mexico Press, Albuquerque. SCHIFFER, M.B. 2010. Behavioral Archaeology: Principles and Practice. Equinox, London. SCHIFFER, M.B. 2011. Studying Technological Change: A Behavioral Approach. University of Utah Press, Salt Lake City. SCOTT, D. 2005. Entrevista: The Archaeology of Battlefields. In: Archaeology. Archaeological Institute of America. Disponível em: http://archive.archaeology.org/online/interviews/scott.html. Acesso em: Abril 12 de 2017. SCOTT, D. WILLEY, P. & CONNOR, M. 1998. They Died With Custer: The Soldiers’ Skeletons From The Battle of the Little Bighorn. University of Oklahoma Press, Norman. SCOTT, D. & FOX, R. 1987. Archeological Insights into the Custer Battle: A Preliminary Assessment. University of Oklahoma Press, Norman. SCOTT, D. FOX, R., CONNOR, M. & HARMON, D. 1989. Archaeological Perspectives on the Battle of the Little Bighorn. University of Oklahoma Press, Norman. SUTHERLAND, T. & HOLST, M. 2005 Battlefield Archaeology: A Guide to the Archaeology of Conflict. British Archaeological Jobs Resource (BAJR), London. TORRES, R. & CASTRO, F. 2012. The Utrecht Shipwreck Research Effort. Preliminary Report and Artifact Catalogue. Mutual Heritage Program RCE, Netherlands and Nautical Archaeology Program Texas A&M University, College Station. TRIGGER, B. 1996. A History of Archaeological Thought. Cambridge University Press, New York. VENCL, S. 1984. War and Warfare in Archaeology. Journal of Anthropological Archaeology. Vol. 3: 116-132. WITZEN, N. 1671. Aaloude en hedendaagsche scheeps-bouw en bestier. Architectura navalis et regimen nauticum. Pieter and Joan Blaeu, Amsterdam.